That slow iPad you are holding might not be so slow after all. It may just be a poor internet connection causing all of those performance issues, which is why the ability to test your iPad's internet speed is so important to troubleshooting problems. Many apps rely on the web, and a poor connection can impact these apps in many different ways. To test your iPad, you should download Ookla's Mobile Speed Test. To test your iPad's Wi-Fi speed, simply launch the app, give it permission to use location services if it asks, and tap the big Begin Test button. The Ookla test displays like a speedometer in your car, and like that speedometer, you don't need to hit the top speeds to register a fast connection. There is nothing to worry about if you don't top out. It really depends on how you use your iPad. You should test your connection more than once to get an idea of your average speed. It's possible for Wi-Fi to slow down for a few seconds and then pop back up again, so doing multiple tests accounts for any weird variance. If you get a poor speed, such as one below 5 Mbs, try moving to a different location of your house or apartment. First, try testing the speed standing next to your router and then move to other parts of your residence. When a Wi-Fi signal travels through wall, appliances and other obstructions, the signal can become weaker. If you do find that you have a dead spot (or, more likely, very slow spot), you can try repositioning the router to see if that speeds up the connection. Before you can tell whether or not you are getting a good speed, you'll need to know the bandwidth capabilities of your internet connection. This may appear on the bill from your Internet Service Provider (ISP). You can also test your connection using a desktop or laptop that is wired into your network via an ethernet cable connected directly to the router. You can use the web version of Ookla's speed test to find out the approximate maximum bandwidth on your PC. < 3 Mbs: You will have problems streaming video and may experience slow times loading web pages or streaming music. It takes about 1.5 Mbs to get crisp audio out of Pandora, Spotify, Apple Music, and other streaming music apps. However, if you consistently have below 3 Mbs, you may experience some issues as your internet connection may bounce between 1 and 2 Mbs. 3-5 Mbs: You should be fine streaming music and loading web pages, but will still experience issues with streaming video and may see downgraded quality from YouTube and other providers. 6-10 Mbs: Video streaming should be smooth, but you could have problems streaming high-quality video from multiple devices. This is a fine speed if you only stream Netflix or Hulu Plus to one television or tablet at a time. 11-25 Mbs: Realistically, you will want 10+ Mbs to ensure you won't get bogged down streaming HD quality video or to stream to multiple devices at once. 25+ Mbs: This is the speed at which you can stream 4K or UHD video. You also shouldn't have any problems connecting several devices and streaming video from multiple sources. Don't Forget About Ping Time! The "ping" time can also be an important indicator. While bandwidth measure how much data can be downloaded or uploaded at the same time, Ping measures the latency of your connection, which is the time it takes for information or data to get to and from the remote servers. This is very important, especially if you play a lot of multiplayer games. You should get a ping time of less than 100 ms for most connections. Anything more than that may be noticed, and anything above 150 can cause noticeable lag when playing multiplayer games. Wow. I'm Going Faster Than My Laptop! It's actually possible to exceed your "maximum" on your iPad if you have a newer model and your router supports using multiple antennas. This is generally the case for dual-band routers that broadcast on 2.4 and 5 GHz. Basically, your iPad is making two connections to the router and using both at the same time. This can be used as a technique to speed up your Wi-Fi if you are having problems. The newest 802.11ac routers even use a beaming technology to focus the signal on your devices. But you have to own both a new router that supports that standard and a newer iPad that supports it. The iPad has supported this technology since the iPad Air 2 and the iPad mini 4, so if you have one of these or a newer iPad like the monster-sized iPad Pro, you can support the newest routers. Getting a Slow Speed: Now What? 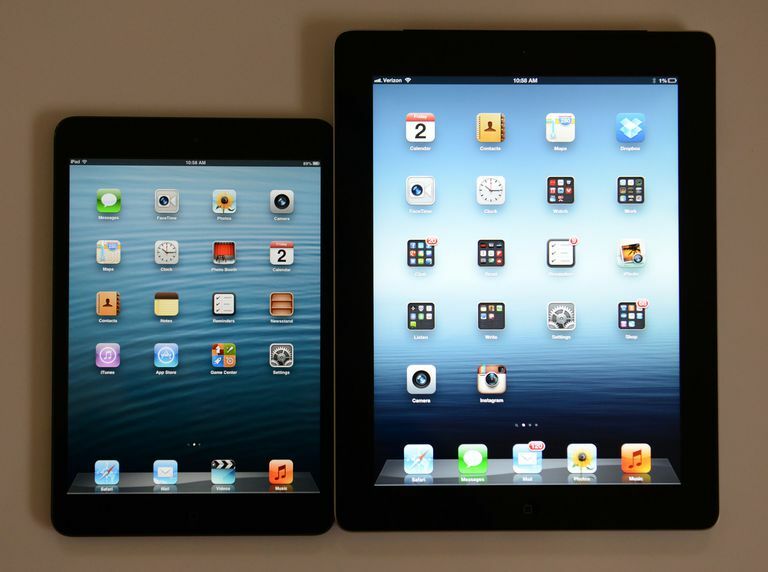 If your tests show your iPad running slow, don't panic. Instead, reboot your iPad and rerun the tests. This will fix most problems, but if you are still having issues, you can try resetting the network settings on your iPad. You can do this by opening the Settings app, choosing General from the left-side menu and then Reset from the General settings. In the new screen, choose Reset Network Settings. You will need to log in to your Wi-Fi router again after choosing this, so make sure you know the password. You should also try rebooting your router. Sometimes, older or cheaper routers can drag down the longer they are left on, especially if there are a lot of devices connecting to the router.